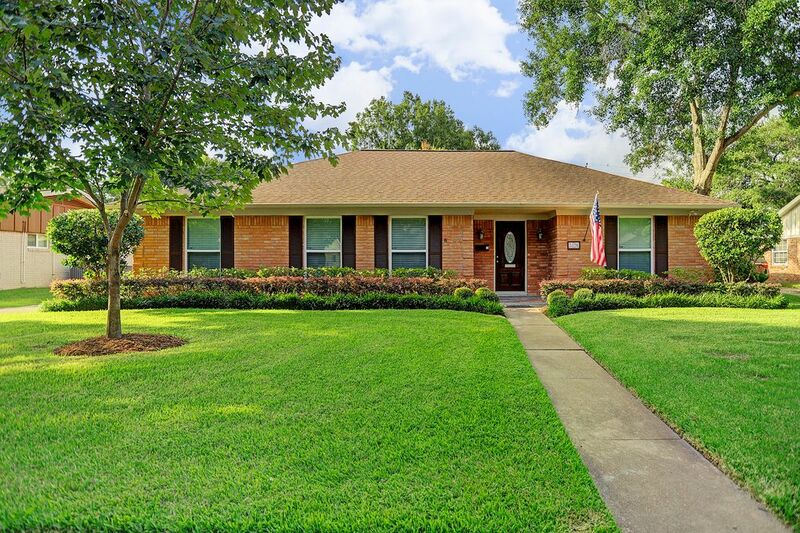 5326 Yarwell Drive, Houston, TX 77096 | Martha Turner Sotheby's International Realty, Inc. Welcome to 5326 Yarwell! 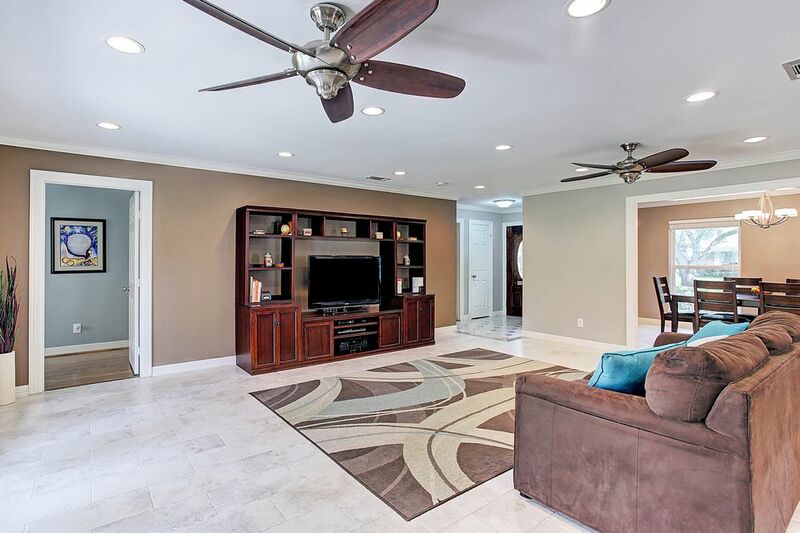 You will love all the special touches in this home beginning with the tiled front porch. This home has never flooded. 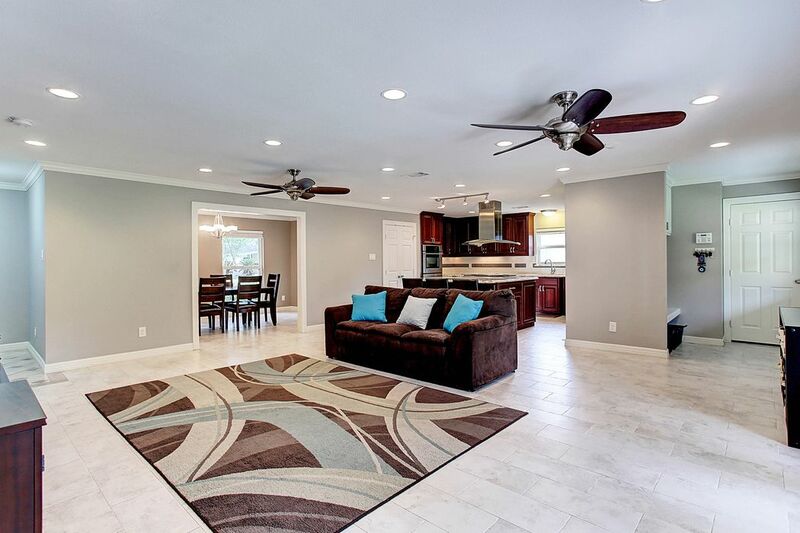 Popular open floor plan allows you to easily communicate with the family. 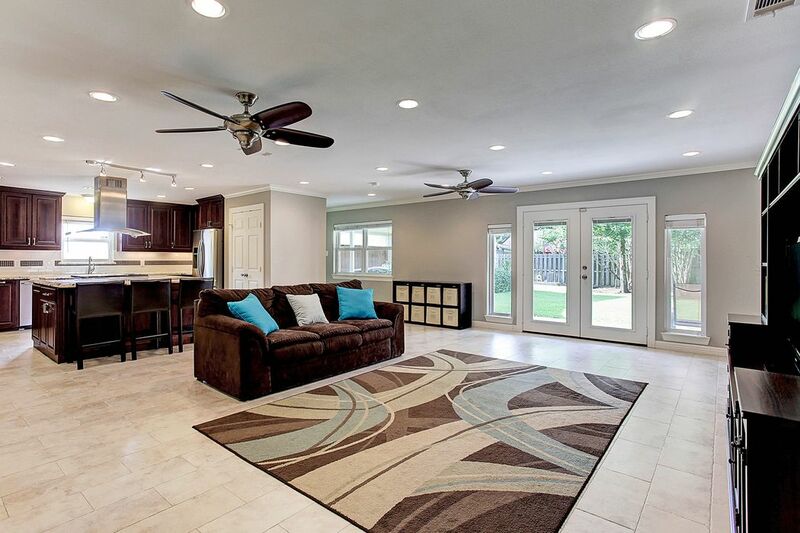 Pella French doors lead to the beautifully landscaped back yard. 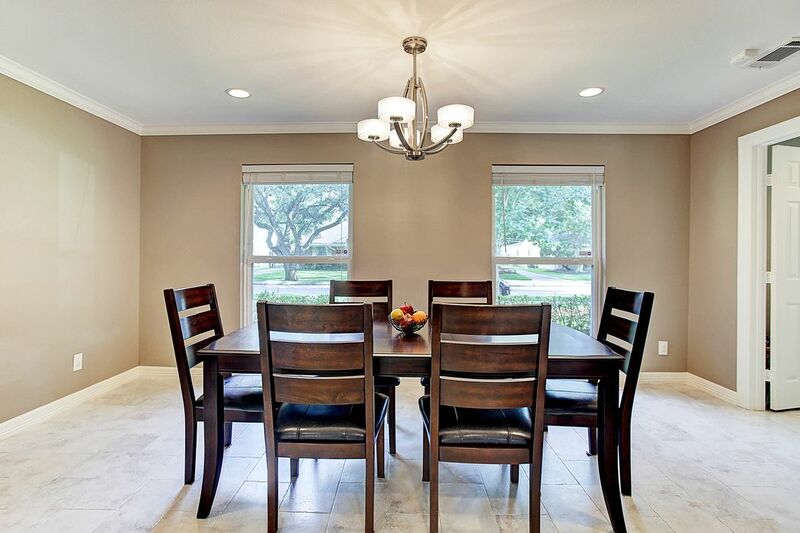 To the right of the dining room is a playroom or office with doors. Notice the "mud room area"with hooks and shoe storage to the right by utility room door. This view shows you the master bedroom entry on the left and the 2 secondary bedrooms and bath to the right near the front door. Dining room overlooks the nicely manicured front landscaping. There is great wall space for a credenza or china cabinet. The door to the right leads to the playroom or office. View of playroom or office. Ahhhh! 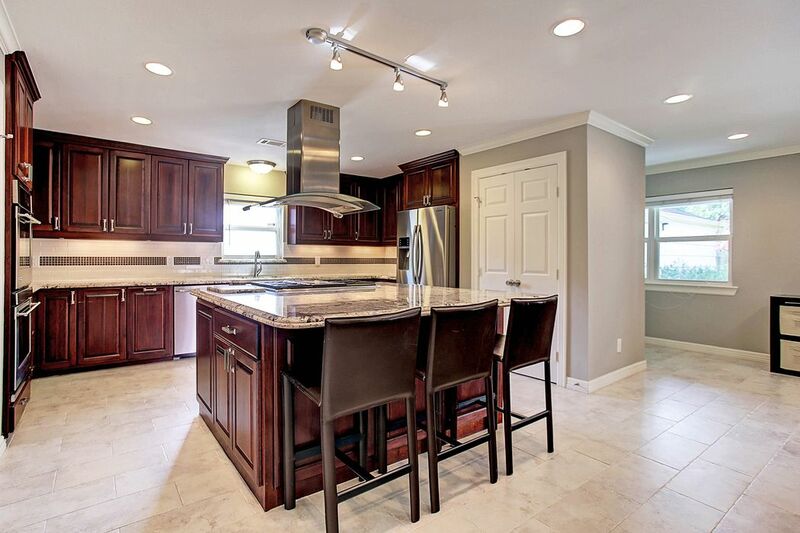 The fabulous kitchen with huge island perfect for food preparation or to spread out the newspaper with your coffee! The sun was shining brightly when photos were taken! The light coloring under the gas range is the same color as the sides. To the right are double ovens. 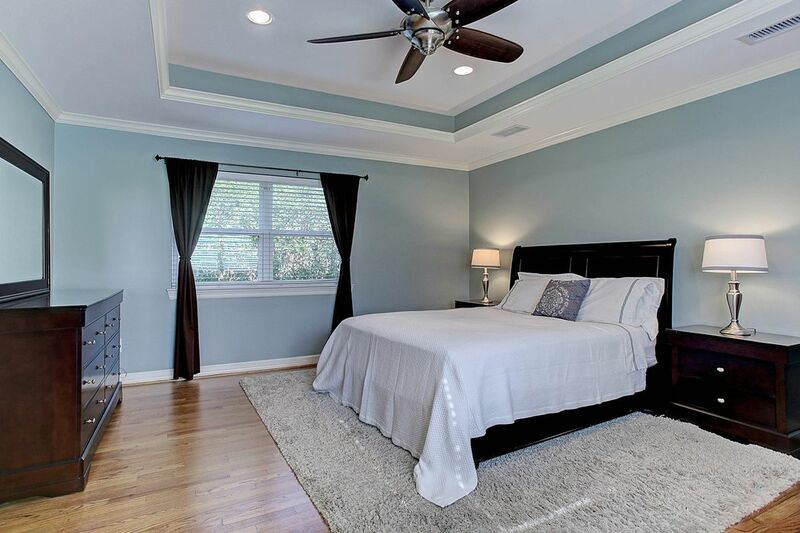 Lovely master bedroom with shiny oak hardwood floors. Notice the coffered ceiling detail. 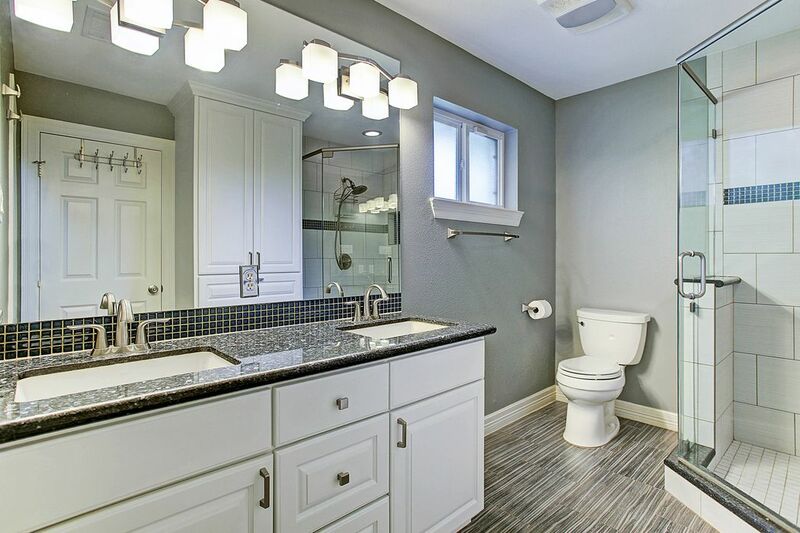 Exquisite master bath with Blue Pearl granite countertop and custom cabinetry. Enlarged shower has seamless glass surround. 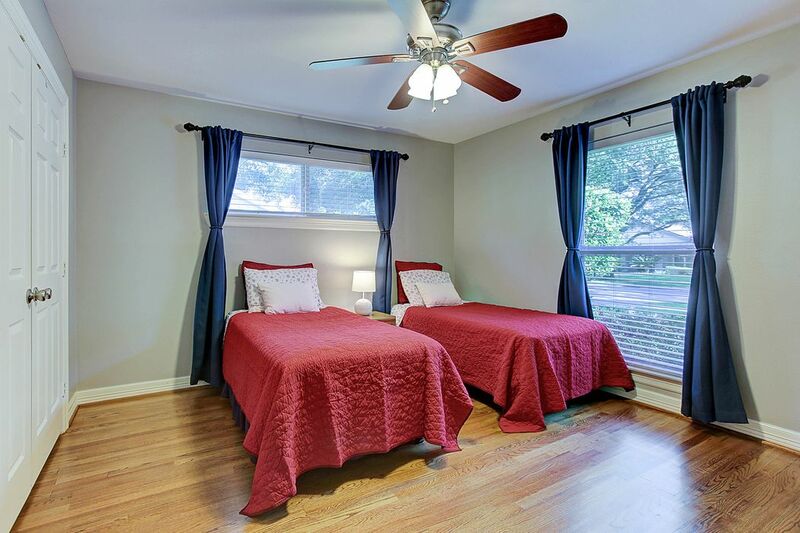 Secondary bedroom is large enough for 2 twin beds with room to spare! Granite counter and custom cabinetry highlight the hall bath with tub/shower. 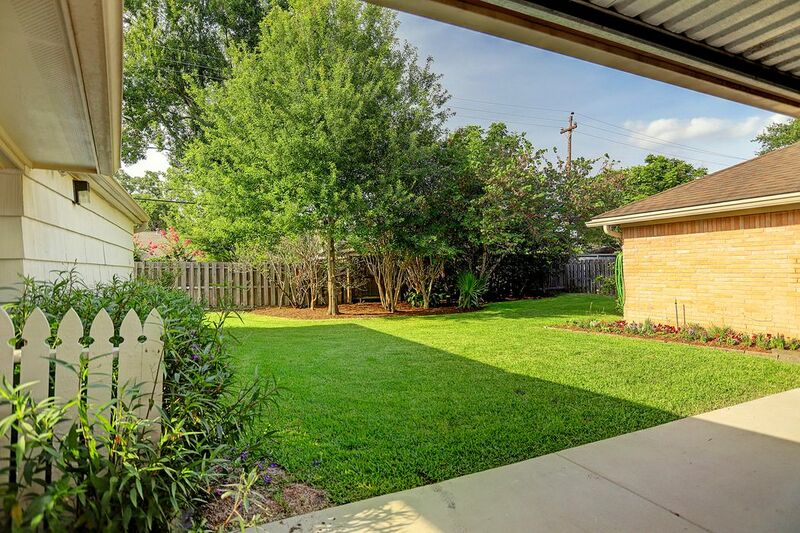 Spacious yard to enjoy or build a pool. 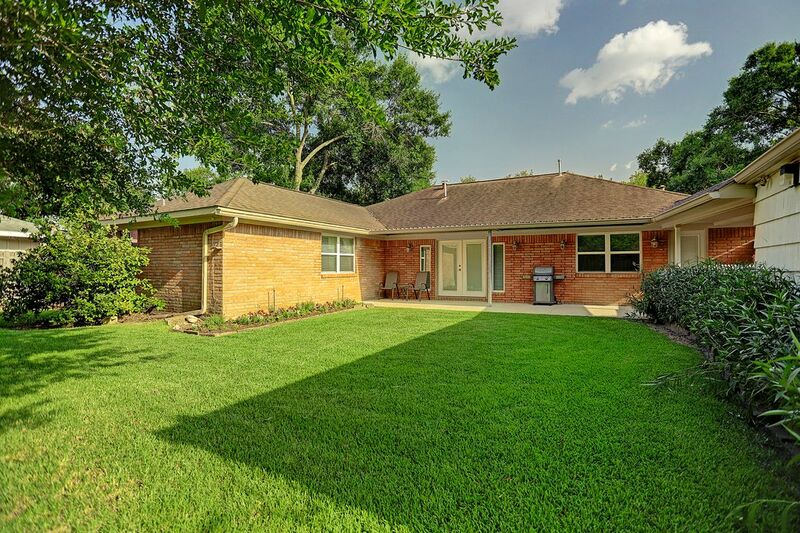 $449,999 3 Bedrooms2 Full Baths2,252 sq. ft.
Never flooded. Wonderful open floor plan. 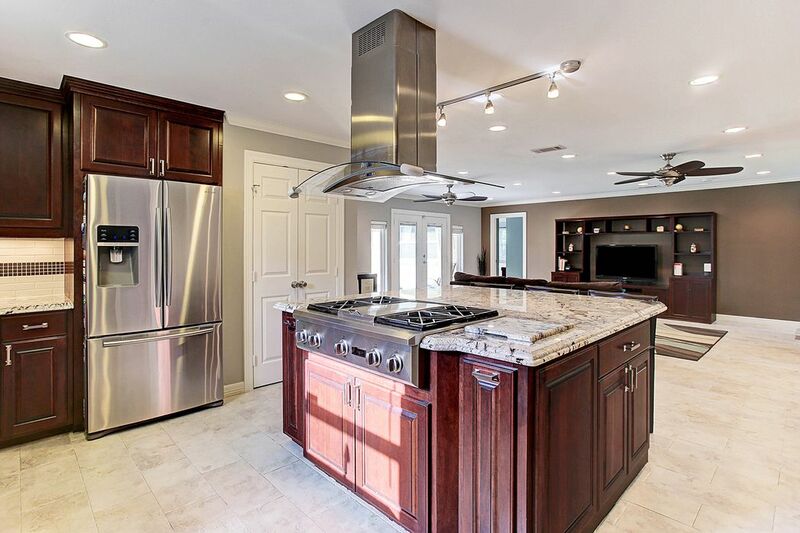 Beautifully remodeled kitchen features large island with breakfast bar, gas cooktop, double ovens, granite counters and opens to family room. Split plan with two bedrooms separated from master suite. 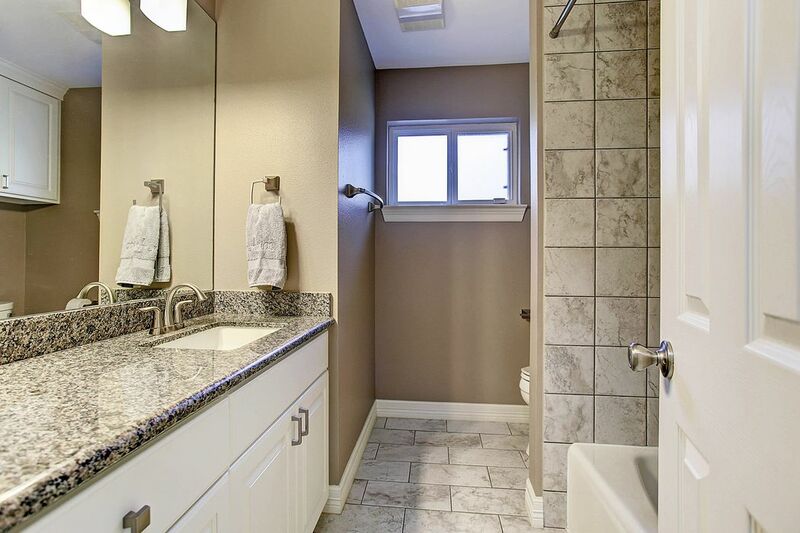 Master bath has Blue Pearl granite, double sinks and an enlarged shower. Landscaped yard is large enough for a pool. 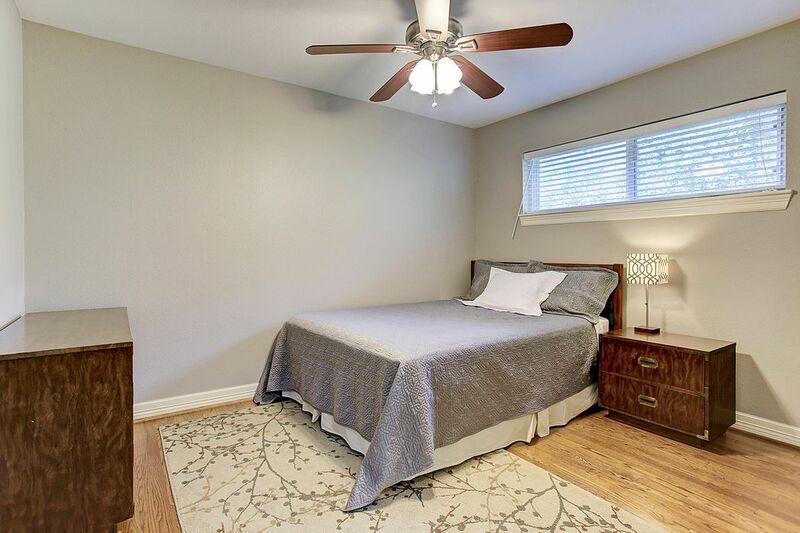 Extras include PEX plumbing, Low-E windows, Pella French doors, sprinkler system, 18 Seer A/C, updated electrical and more. A must see.